"Invalid input: Validation errors: primary_contact_id: can't be blank"
Copper requires each Opportunity to be linked to a Contact. 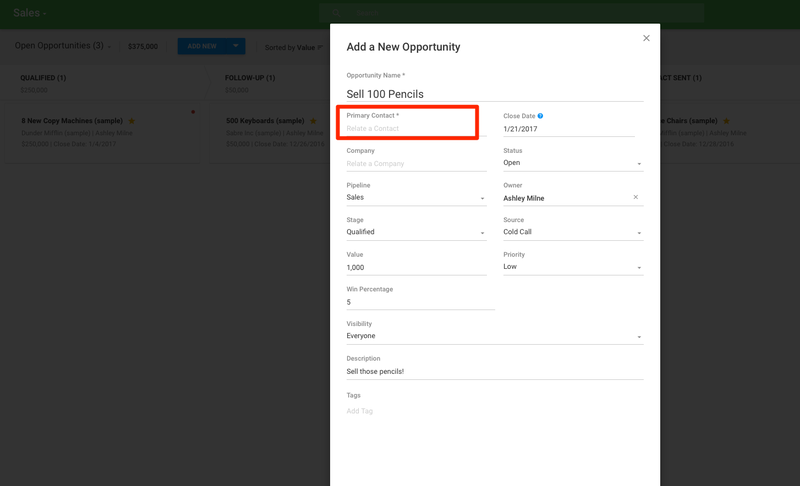 In the case where your Opportunity is not linked to a Contact but only to an Account, Import2 automatically checks the Account for an associated Contact to set as the Opportunity's primary Contact. Please check that your Opportunity is linked to a Contact in your source system to fix this data validation error.